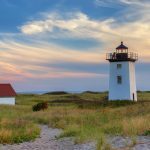 Also known as Harding’s Beach Lighthouse, the Stage Harbor Lighthouse is one of the most noticeable landmarks in this area. 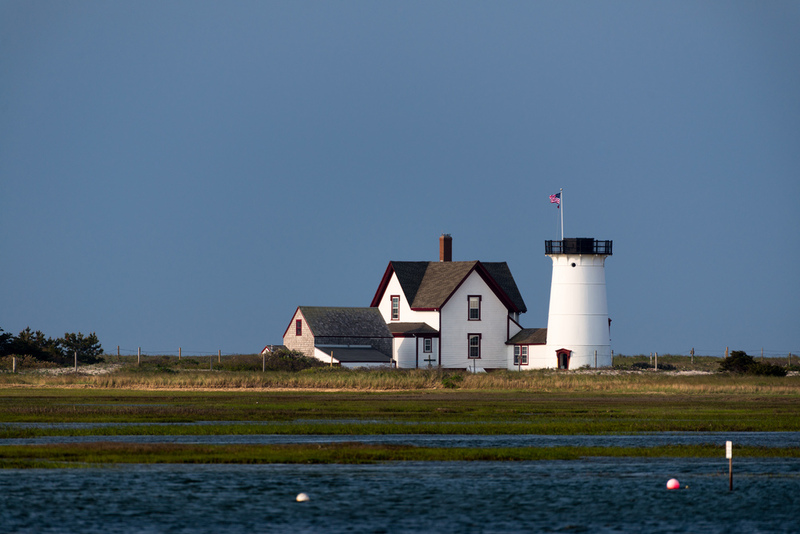 It is the youngest lighthouse in Cape Cod having been built in 1880. 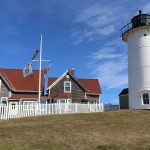 For centuries, it has provided navigational aid to all sailors, and it has become one of the scenes that everyone wants to visit when they come to this area. If you are wondering why it is always associated with the history of Cape Code, it is because almost everything that has been developed in this area has a direct relation to it. The following are some of the facts that you may want to know. 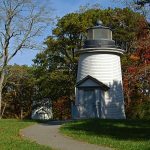 Today, the lighthouse is a private property and therefore, it is not open to the public. You will have to get special permission in order to visit it. However, that does not mean that it is totally out of bounds. For example, school children and tourists often get access to tour the property after being cleared by the owners. To get such a chance, you will have to make inquiries early so that a specific date can be assigned to you. There however are some parts that may be restricted even if you have the permission to visible. 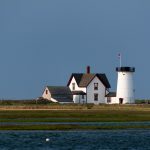 If you want to view it without necessarily entering the gates, you can get the best views from Harding’s Beach in Chatham. From this point, you will see some of the amazing architectural work that is the lighthouse. Apart from that, you can get a wonderful view from the other side of the harbor towards the end of the Stage Neck Road. There also are various other points from where you can get views of the property depending on the specific aspects that you want to see. 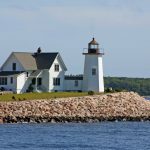 53 years after the Stage Harbor Lighthouse was constructed, it was deactivated. This brought to an end one of the operations that had become synonymous with the the area. What followed seemed like a transformation as almost everything seemed to change. The lighthouse itself had to change from its original lighting systems role to one that saw it become more of a monument. However, that does not mean that it became useless. In fact, it is this new role that has made it even more popular. 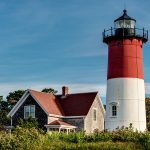 Today, you only need to search for the best places to visit in this area, and the lighthouse will be among the top recommendations. After the deactivation and subsequent privatization, certain aspects of the Stage Harbor Lighthouse changed too. If you look at the pictures that were taken before deactivation and the current ones, you quickly will notice that there are variations starting with the exterior painting. For instance, the lantern was removed, and the tower was capped. You also will notice that e tower has become attractive because the current owners are keen on making it one of the most noticeable attractions in this area. In addition to that, the perimeter fencing has been reinforced, and that is the reason trespassing is not allowed. The main materials used to construct this 48-foot tower is cast iron. At the time of construction, it was one of the best buildings around because not many structures were made using such materials. Because of the nature of cast iron, it had to take a long time to construct this tower, and that is the reason why it ended being one of the best constructions. In fact, it ended up laying the basis of the construction of many other iconic buildings that followed, thus helping to shape the skyline of the entire area. Apart from the main tower, there were also other structures that were made using a combination of various materials. The the boat shed and the keeper’s house were mainly made from wood, although other materials including cast iron were used. In addition to that, there was a separate outhouse that was made from concrete. The design was inspired by a foreign concept, mostly borrowed from the initial settlers in the area. After the deactivation, most of these extra structures were demolished to pave way for a whole new look lighthouse. Despite the fact that this lighthouse was only operational between 1180 and 1933, most of its keepers ended up receiving commendations and efficiency stars. 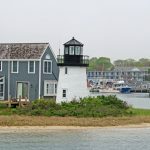 Because of the significant role that the tower played in shaping up the operations of the town, almost everyone who was put in charge of it was given special treatment. Alfred A. Howard, who was in charge between 1906 and 1916, was recognized severally for his effort to rescue boaters. Among his most memorable deeds is when he rescued four boaters from a boat that had ran out of gas, and brought them to safety. It was during the same time that he guided a yacht into the harbor because the captain was not familiar with the area. In 19913, Keeper Howard made another rescue. At that time, a boat belonging to a member of the nearby Monomoy Life Saving Station capsized in the rough waters. It was keeper Harding who made a daring rescue. Another one of his most daring rescues was a 1914 operation when he saved a horse that was stuck in Quicksands. This time, the owner of the horse wrote to the Lighthouse Board in Boston appreciating and recognizing the effort made by Howard to save his horse, as well as the other men that had accompanied him. He even specifically noted that the keeper had supplied his men with rubber boots and dry stockings. 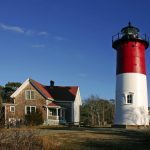 After the deactivation, the Stage Harbor Lighthouse went through a series of sales. The first owner was an army officer who bought it through an auction. Later on in 1936, the property was sold again. This time, the new owner was Henry Sears Hoyt. Although the property has changed ownership severally, it is still owned by the Hoyt family. 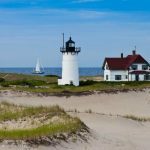 One of the times when the family open it up for the public is during the Cape Cod Open Week in May. is one of the foggiest points on the East Coast. and the Stage Harbor Lighthouse was decommissioned. and the keeper’s house and remaining tower was sold. 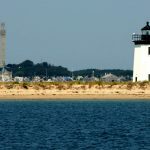 The lighthouse is best viewed from Harding’s Beach. 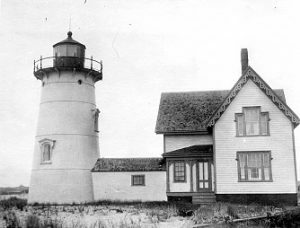 Stage Harbor Lighthouse as it looked while operational. Travel along Route 28 to West Chatham.